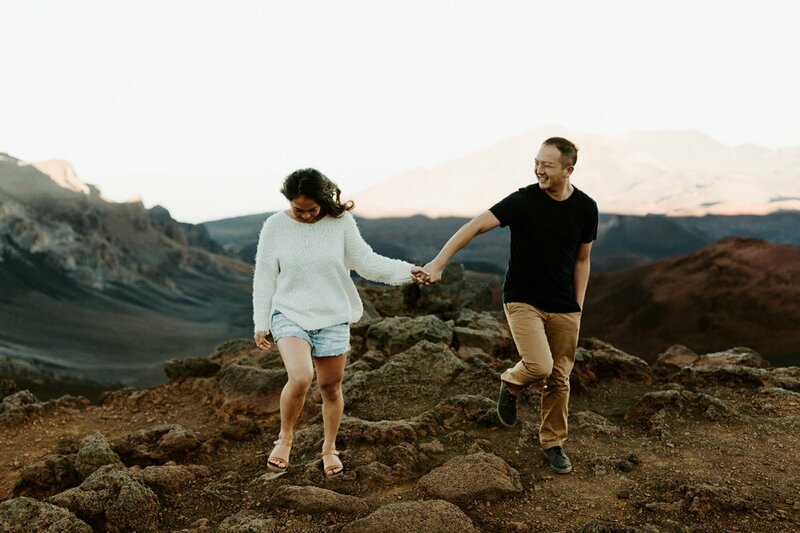 An engagement session at Haleakala National Park in Maui, HI was a highlight this year, with its rich terrain and endless sky. And, of course, the cutest couple Krystal and Allan. 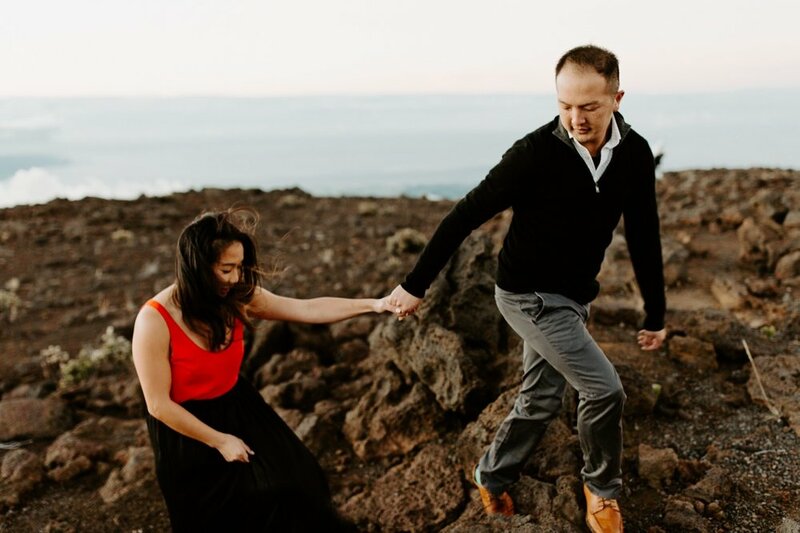 After meeting online, they quickly fell for each other's passion and authenticity. As anyone can see, the way they love is as exciting as it is tender. 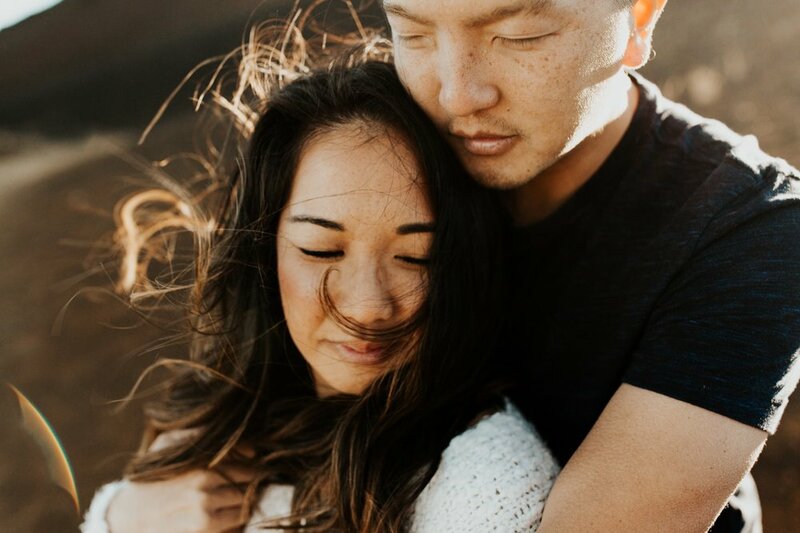 There is such emotion in the warm-hearted way he pulls her closer and how true her smile around him is and that isn’t just because there was a 30mph wind amongst the 45 degree weather. Their spark is undeniable against the backdrop of this tropical, widespread space before they say I do. I can't tell which is brighter, them or the depth of this sun as it ignites the dust turning it gold. There's such beauty in the meeting of both--their love and this everlasting star. What could be more enchanting than that? These two, here, having found each other. Their future and this land and all of the light extending itself beyond them past the horizon welcoming and waiting. 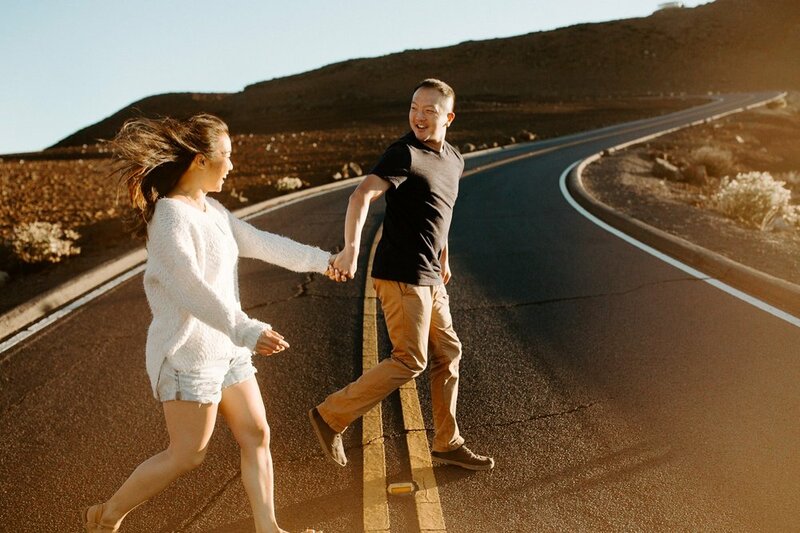 Krystal & Allan’s engagement session was a part of my National Park Series! Click here to find out what it’s all about and book your next session in one of the remaining parks!